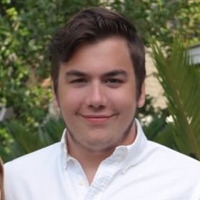 Logan Musser earned Cisco Network Specialist distinction at Chattahoochee Technical College and is presently working toward CISSP certification. Active with Beaverton Foursquare Church, Logan Musser participated in volunteer capacities during a spring trip with Adventures in Missions in Matamoros, Mexico. During his time volunteering, Mr. Musser engaged with residents and ministers in an impoverished neighborhood and worked toward building six houses. Struck by how local residents were able to survive with very little material wealth, he divided his time between building and ministering and rejoicing with people at Christian worship services. His activities on the trip extended to connecting with residents through door-to-door visits and a variety of outreach projects that bettered local lives. A four-year football letterman while attending Chattahoochee High School, Mr. Musser contributed to the efforts of a team that achieved an undefeated record his junior year. Primarily playing defensive end, he also ran plays as quarterback, running back, and full back. Logan Musser is a former Kennesaw State University information systems student who completed an associate’s degree at Chattahoochee Technical College.